Our manufacturing facility in Archangel region is equipped with an advanced machinery for preparing and cutting wood. This equipment allows us to combine high quality of our timber frames with competitive prices due to good productivity. With this advanced and flexible technology we can turn into reality any ideas of our customers. For manufacturing we use high-quality northern pine and spruce. Grown in severe climate of the Russian North, this wood is extremely dense and strong. It is a well-known fact that only accurately and carefully dried timbers can be a good material. We also use glulam wood. Glulam is much better building material than solid wood. Glulam beams may have a big section and length up to 12-18 m. The strength of glulam is higher than that of solid wood. Besides, its decorative characteristics are better, because it is usually shake-free, live-knotted, etc. There is an unusual construction material almost unknown at the domestic market while being highly popular in Europe among well-off people with non-standard vision of things. It is a Lapland dead standing pine tree that even received a special name of KELO. 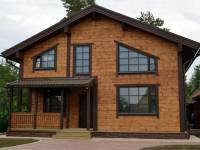 The chief advantages of KELO log houses are their exclusive ecologic level and no shrinkage. Commercial or residential, we can assist you from site development to the finished product. You may be a do-it-yourself kind of person, however, do you know the permitting process? Will your prospective new home comply with all the local building codes? Can you afford your own on-the-job training? Do you have the time, expertise, and money to pay for your own mistakes? One of the reasons you see so many finished homes on our photo pages is that we build Turn-key homes - finished, ready to move in. As a turnkey contractor we undertake complete responsibility for the completion of all aspects of your home. The first step to building the house of your dreams is to visit us. 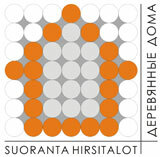 226 office, 10A, Energetikov pr. Полезная информация о домах из дерева - обзор популярных конструкций и выбор материала.